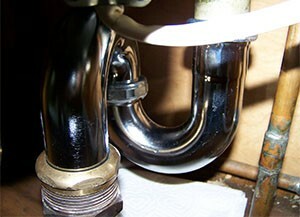 A problem with any part of your plumbing system should be a major concern. Even minor problems like small leaks can, and often do, turn into plumbing disasters. The longer you ignore a plumbing problem, the more likely it is to turn into a catastrophe. Whether you’re dealing with a dripping faucet, a clogged drain, a burst pipe, a sewer backup or any other type of plumbing problem, a plumber in Victor NY can help. We offer honest, upfront pricing, and we will work with you to find a solution that fits your needs and your budget. From new construction plumbing installation in Victor to plumbing replacement, we do it all. We install and replace water, sewer and gas lines as well as plumbing fixtures, including toilets, faucets, sinks, showers, drain cleaning, tubs, garbage disposals and water heaters. Whether you need a plumber to install new lines and fixtures in a newly constructed building or you’re needing to replace existing fixtures in your home, we can help. We offer a full range of plumbing installation services in Victor, and we can install water, sewer and gas lines as well as sinks, showers, faucets, toilets, water heaters and garbage disposals. If you’re looking for a reliable plumber in Victor NY, you’ve come to the right place! At GT Campbell Plumbing, we’ve been proudly serving the area for more than a decade, and we’ve help countless customers with their plumbing needs. When you choose us, you’re choosing a company staffed by licensed, bonded and insured plumbers who have undergone extensive training and have the knowledge and skills to tackle virtually any plumbing job. At GT Campbell Plumbing, we are proud to have been called the best pluming company in Victor by many of our satisfied customers. If you need plumbing repair, installation or maintenance, look no further for a company that you can trust to provide quality service and dependability. If you’re in need of a trustworthy plumber in Victor NY, give us a call today.